Startup India Initiative launched by the government last year which intended to build a strong ecosystem for nurturing innovation and Startups in the country leading to sustainable economic growth and generate large scale employment opportunities. Under this initiative, a startup can do self-registration through a mobile app, get exempted from environment and labour laws inspections, get their patents examined fast at 80% reduction in the patent registration fee, also the most attractive benefit is getting income tax exemption for 3 years. Another added advantage of having tax breaks is that it increases the attractiveness of a company for investors. For a startup to avail these benefits it has to fulfill eligibility criteria such as being a private limited partnership or firm, and should not be more than 5 years of age with turnover not exceeding Rs. 25 Crore. Startups have to qualify as innovative for which they have to furnish letters of recommendation from government-approved startup incubators or furnish patents granted by the Indian Patent and Trademark Office. Therefore a startup with an undifferentiated product or service or one that is not a significant improvement over existing ones in the market will not qualify. 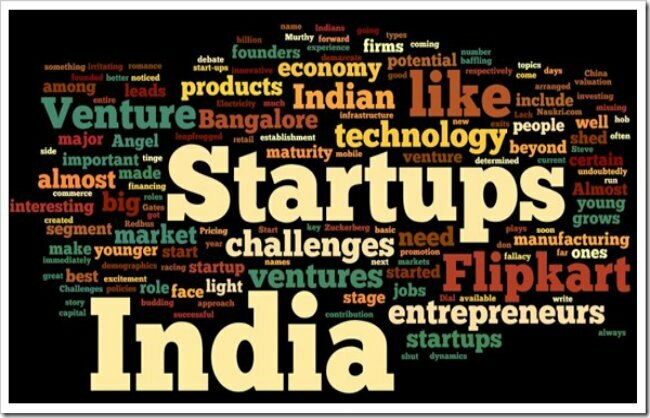 According to research firm Tracxn, only 522 out of about 1425 companies that sought certification under Startup India Initiative have been approved. Most of the rejections were because the companies were unable to secure certifications declaring them to be innovative businesses. Some companies are not able to find the incubator that specialises in the technology they are working in to get the certification. Such issues should be addressed immediately by the government and it should work towards making eligibility criteria more flexible without compromising on the authenticity as the sole motive of this initiative is to help in fostering the growth of startups and allowing them to focus on their core business without worrying about regulatory burden. The brand new entrepreneurship spirit in India is challenging the conventional wisdom and rewriting the rules for the next generation of entrepreneurs, entertainers, educators and more. They are a passionate and formidable bunch and the goal is nothing short of breaking the status quo and transforming the world. In a recent event a small country in Northern Europe, including more than 1,500 islands, the Republic of Estonia has launched an e-residency programme for India, a digital identity, available to anyone in India interested in operating a location-independent business online. It is a virtual residency in which the program gives the e-Resident a smart card which he/she can use to sign documents and complete all public and private formalities related to company online. But, e-Residency is not related to citizenship and does not give the right to enter or reside in Estonia. E-residents will have their financial footprint monitored digitally, in a manner stated to be transparent. Residents pay tax in their home countries, which provide them with the everyday services they use and not Estonia. e-Residency allows: company registration, document signing, encrypted document exchange, online banking, tax declaration, fulfillment of medical prescriptions. Other services become available as the scheme is expanded. A smart card issued by the Estonian Police and Border Guard Board in Estonia or at an embassy is used for access to services. How will this affect Indian Start-ups? India stands ranks third globally with over 4200 startups and growing at a rapid pace with a projection of over 11500 startups by year 2020. The fast growing world of entrepreneurship and their success in India has led several countries to focus some part of their economy on the Indian market and its potential to generate revenue for their country. When the world is moving fast from being local to global and now Glocal (Globally Local) this programme, which is available to any business, startup or freelancer based in India, will help E-residents to establish an Estonian company online within a day, administer the company from anywhere in the world, manage accounting records and declare Estonian taxes online, digitally sign and transmit documents and contracts, have access to international payment service providers and conduct e-banking and remote money transfer, all this from India. Thereby not only helping Indian companies to expand and compete globally but also in reducing the cost of trading across the globe. This will also help local firms by being an entry door for Europe and maximize the benefits of the EU Single Market’s harmonized rules, further helping them to showcase their talent, resulting in increase in credit rating, market share, revenue and profit for the companies as well as both the countries. India’s MSME (micro, small and medium enterprises) sector, with 48 million enterprises, contributes 37.5% to gross domestic product, provides employment to 111.4 million persons and accounts for more than 40% of India’s exports. Yet, these small units are considered inefficient compared to their large-scale counterparts. They are shackled by regulations, inadequate availability of funding, orthodox marketing and a lack of access to global markets and skilled workforce. The ministry of corporate affairs (MCA) has collected data from the audited annual accounts of these small, unlisted, private companies, espcially MSMEs. The data presents a heartening picture because When it comes to return on equity and efficiency, these companies are ticking all the boxes. These firms seem to be saving their way to growth, with growth rates of gross savings going up from 11.6% to 17.9%. They have been net foreign exchange earners, contributing to the build-up of the country’s precious foreign exchange reserves. Such growth in employee remuneration, interestingly, comprises not just of salaries, wages and bonus, but also contributions to provident fund and employee welfare expenses. As such, these trends cannot be dismissed as reflective merely of an increase in wages at the national level. Besides, core sectors like mining and quarrying, manufacturing of iron and steel, fabricated metal products, machinery and equipment, motor vehicles and other transport equipment, and construction have also exhibited dramatic increases in growth rates. The discrepancy between perception and reality of the Indian growth story calls for the use of a larger database to draw conclusions regarding both growth and equity. More importantly, the new data from RBI points to the new engines for the India growth and equity story—the micro and small enterprises. The government and RBI will need to help them find their rightful place in the economy. In this context, government schemes such Udyog Aadhaar, Start-up India, Make in India and the steps taken to improve the ease of doing business all indicate movement in the right direction. Similarly, RBI’s initiatives, such as increasing the targets for bank lending to micro enterprises and bringing medium enterprises within the ambit of priority sector lending, will help energize this sector. RBI can also ensure that the bane of MSME existence is resolved through improving the transmission mechanism of policy rate changes, as also better credit flow to the MSMEs. Indian startups are expected to handout punk slips to hundreds of more employees this year as they brace themselves for another year of drastic belt-tightening owing to pressure from investors to restructure operations. most of these job cuts are results of increasing automation of daily routine tasks and mergers and acquisitions both past and anticipated by industry experts for this year. For investors, it brings them more than one reason to cheer: In addition to lowering expenses for startups, the layoffs will force firms to focus on hiring high-value experts having niche skills crucial to advancing growth. Sanpdeal, Zomato and Cardekho have axed employees over the past eight months to minimize costs and foster healthier balance sheets for the financial year of 2015-16. As Employee costs form a major portion of about 35% of cash burn rate at startups as per industry experts, this was bound to happen as VC’s who had invested huge sum of money have now started to doubt over returns they would get from these startups. Foodpanda, Commonfloor are also on the list of statups who have laid off employess in past year. Well, all this makes talks about E-commerce bubble bursting someday more sensible and frequent. The first quarter of 2016 has been tough but not all grim for India’s start-up market. Start-ups across sectors continued to attract early and growth capital, even staging a small recovery from the slump reported in the previous quarter in terms of overall capital raised. Data compiled by London-based Preqin puts the total value of venture capital deals concluded during the January-March quarter at $1.6 billion, up 47% from the fourth quarter of 2015. The surge comes largely on the back of a handful of big-ticket deals that closed despite the withdrawal of a host of later-stage investors, such as hedge funds, from the market. In January, online travel company MakeMyTrip raised a $180 million round from Shanghai-based travel services company Ctrip. The same month, private equity investors Temasek Holdings and Warburg Pincus participated in a $145 million round in auto classifieds platform CarTrade. February saw e-commerce marketplace Snapdeal announce a $200 million investment led by Canadian pension fund Ontario Teachers’ Pension Plan (though a sizeable portion was paid out to venture capital firms Saama Capital and Sequoia Capital, who sold stakes in the company). And in March, grocery e-tailer BigBasket raised $150 million from an investor consortium that included The Abraaj Group and Sands Capital Management. However, these deals don’t necessarily indicate that the funding slowdown that became official in the last quarter of 2015 is now a thing of the past. Since we’re specifically concerned with how early-stage investors behaved during the quarter, we will take into account deals that were concluded at the angel and seed stages and, separately, at the Series A through C stages. At the angel and seed stages, investors closed 146 deals worth $35 million. That represents a 46% drop in value terms when compared to the fourth quarter of 2015, even though the volume of deals grew 5%. The slower pace of investments at the Series B and C stages means that venture capitalists are still not comfortable with the valuations that are being sought by companies at those stages. By Preqin’s estimates, India-focused venture capital funds are sitting on dry powder or uninvested capital worth $3.4 billion. That capital, going by how investors have behaved in the first quarter, is not going anywhere in a hurry. Along with 100% FDI in market place model forcing e-commerce companies forcing them to restructure, the latest big problem staring at India’s top internet companies is attrition, especially in their senior ranks. Top e-commerce companies, who have been aggressively recruiting top talent with the millions of dollars they have raised, are grappling with an exodus of management-level executives. E-commerce companies in India are growing so rapidly that they haven’t built the fundamental concept of retaining people, especially at the top-level. At Flipkart, Srivals Kumar recently resigned as general counsel and head legal, the latest in a series of top-level exits at India’s largest e-commerce company this year. While Flipkart was quick to replace him with Rajinder Sharma, former director and general counsel — South and West Asia, at Samsung, Kumar’s decision to quit Flipkart comes amid an organisational restructuring. At least four other senior executives have quit Flipkart this year, including Mekin Maheshwari as chief people officer; Ravi Vora as chief executive of strategic brands group; Amod Malviya as chief technology officer; and Sameer Nigam as engineering head. But Flipkart has also been hiring a number of high-profile senior executives, such as former Google executive Punit Soni whom it appointed as its chief product officer. At Zomato Durga Raghunath recently resigned as senior vice president-growth after a six-month stint to found an online publishing company, joining a list of senior executives who have quit the venture this year. Namita Gupta, former chief product officer, and Rameet Arora, former chief marketing officer, also quit recently, all having spent less than a year at the Gurgaon-based company. At Ola Arvind Singhal recently quit as CEO of the company’s TaxiForSure unit, and Swaminathan Seetharaman resigned as vice-president for engineering. A high attrition rate is not about the compensation that is being offered, but about the job satisfaction these employees don’t get. Companies can always get talent with a high pay package, but retaining them is a different ball game. Many of the top management at e-commerce companies quit to form their own companies. Is India the paradise for Start-ups? Over the past few years, international VCs like Tiger Capital, Accel Partners, Nexus Ventures and Google Capital have been investing in Indian startups. Earlier this year, Sequoia Capital announced the biggest raise by any VC fund -$920 million -primarily for Indian startups. And now, it’s the time of the accelerators. “The market opportunity in India is too big to ignore. The cost of doing business is reasonable and it’s a hot market with a lot of startups,” says Brett Stevens, director and VP of Jaarvis Accelerator, which is looking to be an intermediary between international investors and India. “The government is supportive, which makes it easier and more reliable to do business here” says Stevens.The potential to find more unicorns in India is another reason driving investors. And the statistics back it up. In 2015, four unicorns emerged out of India. Indian entrepreneurs are gaining too. Gurgaon-based MyTaxiIndia founder Anshuman Mihir says Indian accelerators are helping Indian entrepreneurs understand the foreign market through these partnerships. “When we got backing from Japanese taxi firm Nihon Kotsu, it helped us gain a global perspective to scale our company,” he says. Its the time where the Indian Entrepreneurs are living off their dreams! Its the time when the Indian youth is not just running behind money but giving the best shot to what they are meant for! Meru Cabs, taxi operator has launched a ride-sharing feature in Delhi and NCR region under which the customers will be provided with an option of sharing cab with another co-passenger who intends to travel in the same direction. Customers who opt for this will get a fixed 30% discount on the estimated trip fare. If a customer has booked a cab under the ride-share feature it will be responsibility of Meru Cabs to locate a co-passenger and a co-passenger could not be located, the person would still get a 30% discount. This feature will surely address issues like pollution and traffic congestion in Delhi & NCR region. Meru cabs already have around 1500 CNG vehicles in Delhi & NCR region. This feature will allow citizens to contribute to solving the traffic issues of the city. This option will also be economical and it will give competition to other competitors like TaxiForSure which is known for their cheaper services and Ola. This ride-share feature is implemented permanently for Delhi-NCR region. If this feature gets success in Delhi-NCR region, same could also be introduced in other cities like Mumbai, Bengaluru and Kolkata. Considering the traffic issues and pollution level in other cities, other cab services will also follow Meru Cabs and introduce this feature in cities like Mumbai, Bengaluru and Kolkata.